This may be my last entry for a while; possibly ever. Before my leave of absence I’ve got to mention this little book I found called The Fall of Charlie Dixon. It’s a self-published novel but don’t let that put you off. The writer is young but extremely talented. Try the “look inside” on Amazon to give you a taste. 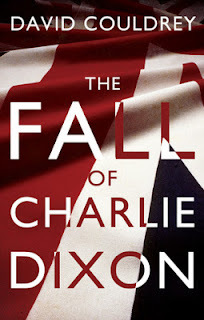 We follow Charlie Dixon (this name only appearing on the cover) right from when he enters the world, through childhood, boarding school and finally the teenage years where he becomes led astray by various “hoody” mates. It’s set in the noughties, with the backdrop of 9/11, the war in Iraq and the London underground bombings tragically mirroring the growing frustration and violence of the youth culture Charlie finds himself entwined with. I won’t give too much away about the ending, but let’s just say that it’s a fantastically written coming of age tale with a lot of bad decisions and plenty of black humour. It’s available from the usual places that you’ll find such self-published novels. i.e. the internet. Okay, signing off, and good luck to David Couldrey in his further writing career. A name to watch out for.